At Modern Family Dental, we treat your oral health as if it’s our own. That’s why dental x-rays are an important part of routine dental cleanings. They help detect signs of decay, advanced gum disease and other oral problems that we may otherwise not see. How often x-rays are needed often depends on age, risk factor, dental history and more. There are various types of dental x-rays. For example, a bitewing x-ray is done to look for tooth decay. During this type of x-ray, the patient bites down on tabs that hold the x-ray film in place. x-rays will be taken on each side of the mouth to get a view of upper and lower premolars and molars. Another common type of x-ray is a periapical x-ray. This type of dental x-ray looks at one or two teeth at a time and shows the entire tooth, from crown to root. Periapical x-rays are an excellent way to see if there is a tooth infection. Another x-ray is the panoramic. Panoramic x-rays allow the doctors to examine the upper and lower jaws, the TMJ, and diagnose many other conditions. Lastly, there is the Cone Beam 3D CT Scan. 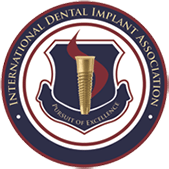 This allows the doctors to see your jaw in 3D, which allows proper dental implant surgery and diagnosis conditions other x-rays did not show. X-rays are quick and painless. First, you will be covered with a lead apron so your body is protected from radiation. Then you will bite down on a small piece of plastic and the technician will take x-rays of a specific area or side of your mouth. This will be repeated until all areas are imaged. At Modern Family Dental Care, the amount of radiation is extremely minimal because we use digital sensors. Why should I get a dental X-ray? The purpose of dental x-rays is to allow your dentist to get a full image of your mouth and look for signs of oral problems. Oftentimes dental x-rays are done as a preventative measure to address an underlying issue before it becomes a more serious problem. 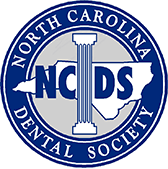 Our Charlotte dentists will sit down with you and address any concerns and answer questions you may have, or advise how often you should receive dental x-rays. Detect underlying health issues. Some dental problems are not visible during a routine dental cleaning, such as early tooth decay and gum disease. X-rays allow your dentist to view below your gum line, meaning if any problems are present they can be addressed before it becomes are serious. Locate cavities. Not all cavities are visible during a routine exam. When you get dental x-rays any cavities will be easily visible to your dentist. View wisdom teeth. Typically, wisdom teeth are not visible until a person has reached their late-teens. Placement and mouth crowding are two reasons wisdom teeth may need to be removed. Dentists will take full mouth x-rays to assess the status of your wisdom teeth for next steps. The professionals at Modern Family Dental Care understand how important your oral health is to your overall wellness. If you are experiencing oral problems and are looking for a Charlotte dentist, contact us. Our friendly staff is happy to serve you and answers any questions you have regarding our dental x-ray services. 1) Are dental x-rays safe? Digital dental x-rays have very low doses of radiation, making them extremely safe. If you have concerns, don’t hesitate to speak to one of our knowledgeable Charlotte dentists. 2) I’m not having oral issues. Do I really need dental x-rays? Just because you aren’t experiencing any problems doesn’t mean there aren’t underlying dental problems that need to be addressed. Early detection is key to treating certain oral diseases. 3) How often do I need dental x-rays? How often you need x-rays depends on your dental history. You may need x-rays every six months or only once every couple of years. If you have any questions about dental x-rays or family dental care in Concord, or want to schedule your next appointment contact us today!